Pancoran Tax and Local Retribution Service Unit (UPPRD), South Jakarta conducts tax arrears operation on Thursday (12/20). Until Friday (12/21) morning, Pancoran UPPRD has collected Rp 312,260,389.
" Every month it will be imposed with fine as much as two percent if taxpayer is late to pay"
Pancoran UPPRD Head, Shalih Nopiansyah mentioned, tax revenue is collected from PBB-P2 tax arrears on Jalan Duren Tiga Raya that has been put on tax delinquent sticker yesterday. According to him, principal value of tax provisions is Rp 289,125,342. But because of three months arrears, taxpayer should also pay fine as much as six percent. It means taxpayer should pay Rp 23,135,047 for its administrative fine. "Until yesterday, taxpayer paid by Rp 312,260,389 in total. Every month it will be imposed with fine as much as two percent if taxpayer is late to pay," he mentioned. 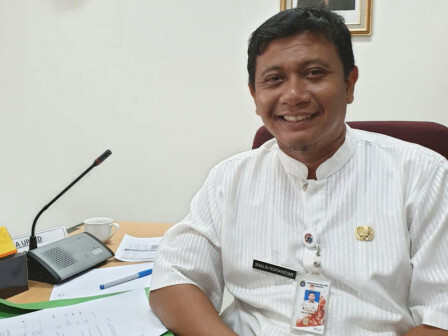 After this tax object, it remains four tax objects in Pancoran Sub-district, South Jakarta that have not paid the tax with potential tax value at Rp 615,345,952.